Krix may not be the best-known name in the UK, but in Australia the brand dominates the commercial cinema speaker scene. In fact, the firm’s speakers were found in every picture house in Australia in the 1980s. Despite this, Krix isn’t the biggest name outside of its homeland, but that is slowly changing. Last year the firm revealed its intention to expand outside of its home market, and at ISE 2019 the company will be bringing its most notable home cinema speaker to Europe for the very first time. The Series MX has been available outside of Europe for quite some time, but it’s hoping to shake things up in the European market. That’s because the modular Series MX packs a left, centre, right and two subwoofers into a single soundstage; allowing it to squeeze behind an acoustically transparent cinema screen for an impactful audio experience. Given that this is the line-up’s debut in Europe, Krix wants to make a splash. To do that it’s building a ‘wall of sound’ from the large MX-30 offering in the series, which will dominate its ISE 2019 stand. To further make an impact, the company has partnered with Trinnov Audio to ensure the speakers sound the best they possibly can. It seems that Trinnov Audio is the belle of the ball at ISE 2019, having already unveiled partnerships with Kaleidescape and Procella Audio. 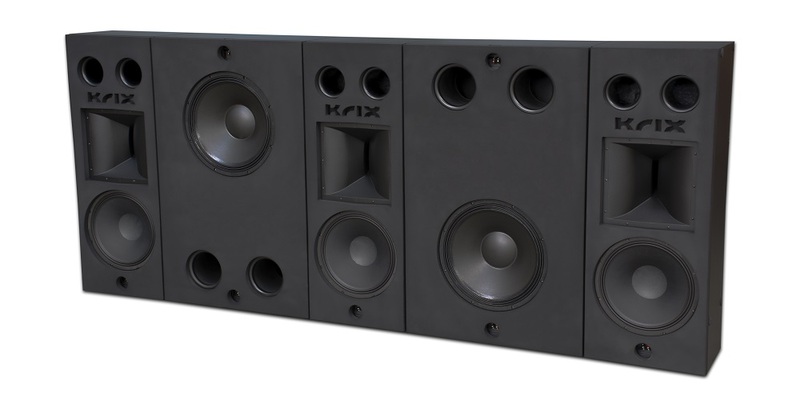 Now, the firm has revealed that it will also be helping Krix make a splash on the European stage, providing the Australian speaker manufacturer with an Altitude 8m amplifier and Altitude16 processor to power its wall of sound.